on 124 St. close to 109 Ave on the west side of the street. Their studio shop is downstairs. Radiant Rays has a table there featuring hammered wire and gemstone jewelry. quality garments, producing limited quantities for the year. Give your friends and family members unique, hand made gifts this year. 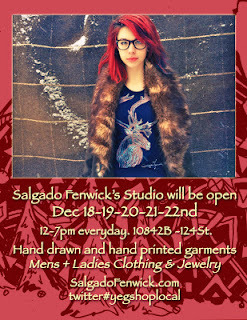 Salagado Fenwick is having several more Pop Up Shops this year, where my jewelry will be available for purchase. 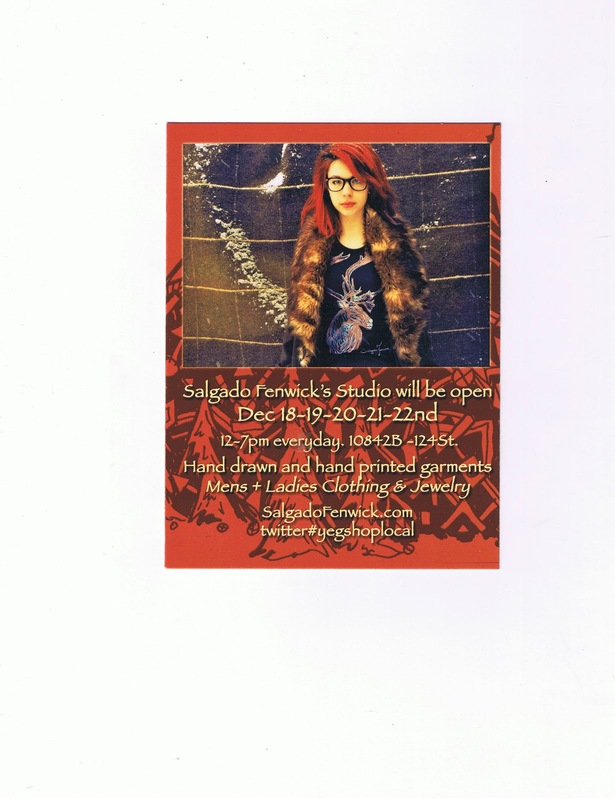 You will find a wide selection of earrings for gift-giving, ranging in prices from $10 to $35.You will also find various semi-precious gemstone necklaces, so Come and Shop!